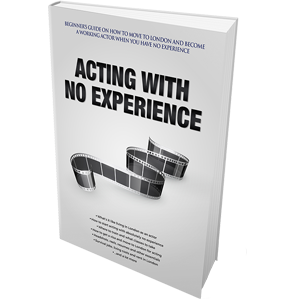 By the time you start to seriously worry about your acting start-up kit and the tools you’re going to need in the beginning of your acting career, one assumes you’re aware of the first steps to start an acting career and preparation for the acting industry jobs. By now you should really understand what this occupation choice you’ve made entails and what’s ahead of you. If you believe you do understand that, then let’s get on with it. Before we list the actual things from your acting start-up kit that you will need on this journey (it feels like preparing for an outdoors fishing trip), let us make a checklist of things you need to do. 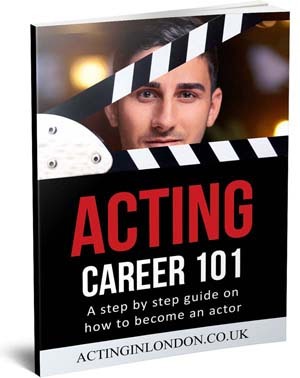 Now as that’s done and ready, we can start getting into every little bit of detail of acting start-up kit and what you need to have with you as an aspiring actor in one of the major theater/film/TV cities (see Top 3 Actors Marketing Tools for more details on this). Good acting CV/resume. As soon as you start applying for jobs, you’re going to have to show something you’ve done previously. If you’re completely new, there’s little you can put on there anyway, so do not worry about it (in fact, you shouldn’t worry about half of these things — just get into an acting class and see if you like it). List any kind of performance and training credits you have on your resume, alongside your personal details and special skills. Don’t forget about making plenty of copies. Professional headshot. You should get these done as soon as you arrive into the city of your choice. Make sure you do your research and pick a good photographer that knows what they are doing. Don’t be completely cheap on this, but never buy the most expensive ones, either. Try to find the balance based on the result of your research. Headshots are a vital part of your acting start-up kit and you need them most of the time. Again, don’t forget to make a sufficient amount of copies. Tip: you can staple your CV/resume to your headshot, back-to-back. This way neither one will get lost when handed to an industry professional. Business cards. You can take care of this part of acting start-up kit a little later, but having some business cards with your name, details and a little headshot in the corner is never a bad idea. Did you accidentally run into a producer, director, agent or a CD in a coffee shop? Hey, why don’t you give them your business card! Nobody’s saying this will guarantee you a part, but only those who never try actually fail. Monologues. You don’t really need to have a physical copy of these, but it has to be a part of your acting start-up kit. And don’t just carry them with you — learn them. Have at least 10 different (comedy, drama, modern, classic) speeches in your mental arsenal. They all should be polished and ready for whenever somebody requests them: agent, director or casting director. It’s probably best to take care of this before you even commit to move to any major city. Selection of clothes. You don’t have to do the DeNiro thing (where he dressed as a pirate for the part, remember? ), but having a variety of clothes for different kinds of auditions is definitely recommended. You don’t really want to come in for a lawyer part dressed in a track suit or your regular t-shirt and jeans. That’s not going to sell, unfortunately. Money, plenty. 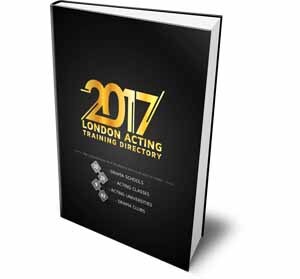 Another significant part of your acting start-up kit are your savings, of which we already talked about in How to Fund Your Acting Training. It’s crucial that you have enough cash to cover you for the first few months of living and eating, as well as all these acting expenses. If you’re not one of the rich kids, you’ll probably going to have to get a survival job which means you need to have enough to survive until your first pay check. 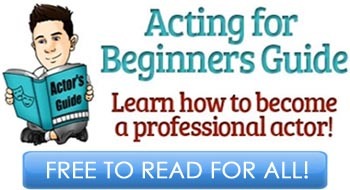 The more savings you have, the easier you life as an actor will be. Employment. Speaking of a survival job, don’t forget to get one. Do your research before moving and find places where you can possibly be employed. The sooner you sort this out, the easier your journey will start off. Never put this off for later months thinking that you will strike a golden audition and become a star before you even get that job; that’s not going to happen. Such actions will lead you into frustration once the time of actually looking for job in order not to starve comes. These seven things combined will be your first acting start-up kit that you need to get together. Think of ways how can this be accomplished. Trust the advice of other actors and don’t rush into anything — plan it all out. Once you have half of the things on the checklist and half from the acting start-up kit, and you’re 100% certain you won’t have any problem acquiring other halves once you moved, then you’re ready. 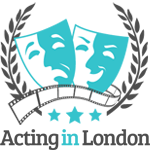 Get your things together and make that big step forward towards your success in acting.